Antonio Guillen, Head of the Foreign Property team at DWF, has been appointed as an Honorary Consul for Spain for the Greater Manchester, West and North Yorkshire regions. 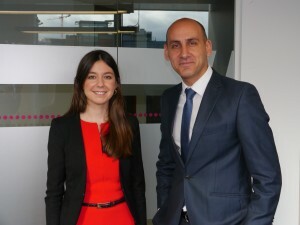 Antonio, dual-qualified in Spain and England, will support the Spanish Consulate in Edinburgh, which covers the north of the UK with delegated powers in his assigned areas. The role will allow DWF to forge stronger links with the Spanish ex-patriot community across the north. Antonio is not the only Consul on the DWF team – Mark Green, a partner in the Leeds office specialising in commercial law, is a German Consul for the north of England.